This lecture focus to present Relational Language. 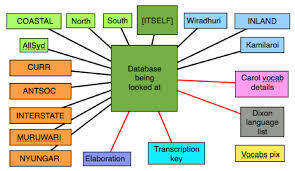 Relational language is a sort of programming language that the programming logic is composed of relations and your output is computed in line with the query applied. Relational language performs on relations involving data and organisations to compute an outcome. Relational language contains features from and is similar to functional programming words. This lecture also explain Basic Structure, Queries on One Relation, Queries on Several Relations, Condition Box, Result Relation, Ordering the Display of Tuples, Aggregate Operations and Modification of the Database.